VIRGINIA BEACH, VA, (March 22, 2019) – When spring cleaning please remember to protect your identity. AAA Tidewater is working to help keep your information safe by hosting free Shred-A-Thons at two locations this April. Shredding unneeded documents is a big step to protecting your identity. These Shred-A-Thon events are free and open to the public. Individuals may bring up to three boxes of junk mail and personal papers to the on-site shredding location at AAA Tidewater’s Virginia Beach Corporate Office located at 5366 Virginia Beach Blvd between 9am to 12pm on Saturday, April 6th. There will also be an event on April 27th from 9am to 12pm at AAA’s Newport News Branch located at 733 J. Clyde Morris Blvd in Newport News. You must pick up a free voucher prior to the Shred-A-Thon to participate. Vouchers are available at any AAA Tidewater branch during normal business hours. While you are visiting our branches ask about the ProtectMyID program available to AAA Members. 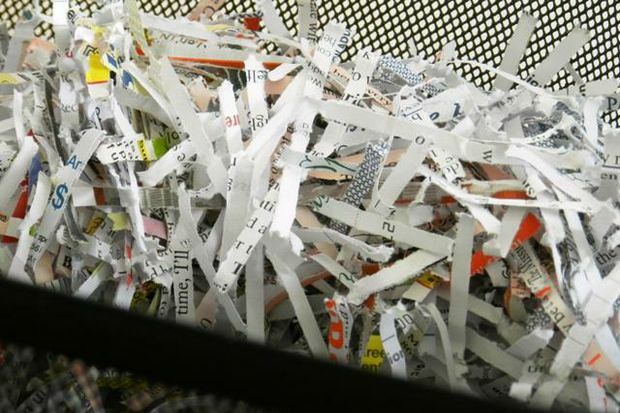 “We want to help reduce the chances of people becoming victims of identity theft by offering the opportunity to shred sensitive documents before they end up in the wrong hands,” said Holly Dalby, AAA Tidewater’s spokesperson. Additionally, the internet makes our lives easier, but it can also open the doors for hackers and identity thieves to steal your personal information. ProtectMyID gives you the peace of mind knowing your identity will be protected. Please note! Plastic bags and binders, folders, laminated paper, or other non-paper materials should be removed prior to attending the Shred-a-Thon. All shredded material will be recycled. AAA Tidewater and certified shredding professionals will be there assisting in getting those documents shredded into pin-sized bits.